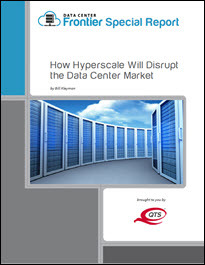 This Data Center Frontier Special Report on the hyperscale data center market examines the increasing need for data center and cloud resources from both the business and consumer service perspective and how it has led to the development of large-scale cloud-ready data centers built for hyperscale capabilities. Today, hyperscale cloud operators are increasingly dominating the cloud landscape. High-density equipment, cloud computing, and virtualization have all helped shape the hyperscale data center movement. Now, organizations have to look for flexible options since their needs may change much more quickly than in previous years. With technology evolving at the pace that it is, data center administrators are consistently tasked with providing optimal service and maximum flexibility. In this report you will learn how to work with a hyperscale data center partner, and get tips on how to plan out your infrastructure for the future. This includes plans for capacity, redundancy, and future growth. Download this free report complements of QTS.